The Lehrstucke (or 'learning-plays') lie at the heart of Brechtian theatre. 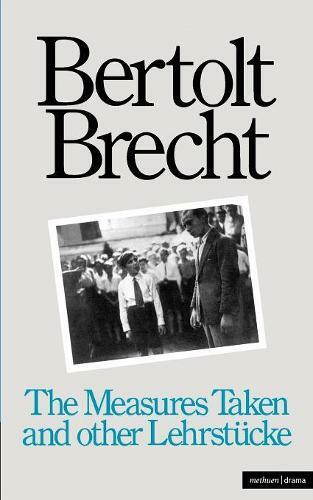 Written during 1929 and 1930, years of far-reaching political and economic upheaveal in Germany and the period of Brecht's most sharply Communist works, these short plays show an abrupt rejection of most of the trappings of conventional theatre. The Lehrstucke are spare and highly formalized pieces intended for performance by amateurs, on the principle that the moral and political lessons contained in them can best be taught by participation in an actual production. There is nothing in the drama of the twentieth century to match the precision of their language and the economy of their theatrical technique.